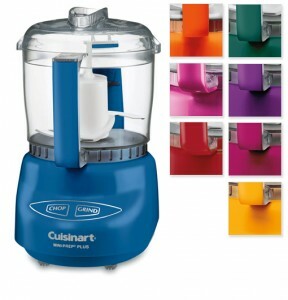 You are here: Home / online shopping / Cuisinart Mini-Prep Food Processor for $24.99 SHIPPED! If you don’t have a food processor yet, this is the deal for you! 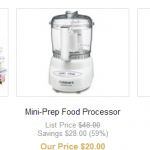 Get this Cuisinart Mini-Prep food processor for $24.99 shipped! These are priced at $39.97 on Amazon right now, so you’re saving $15! 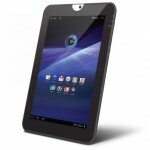 I have one of these and I absolutely LOVE it! It’s perfect for making salsa and guacamole! I just throw in the ingredients and it’s ready within minutes. It’s easy to clean, too! Cuisinart Mini-Prep Plus 3-Cup Food Processor, Recipe Book, Spatula, and Bowl. 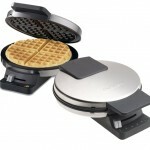 Kitchen Essentials Flash Sale: Lock & Lock, HUTT, Cuisinart and more starting at $18 shipped! 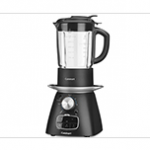 Cuisinart Flash Sale: up to 78% off! 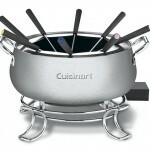 Cuisinart Electric Fondue Pot only $34.99 shipped!